The Rock Jones band has passion for their music and connection through their ties to Ann Arbor and Detroit. Larry Genoa (guitar and harmonica) and Phil Ryski (guitar) have both played professionally in the area since the 1960s. Brian Genoa (drums) is Larry’s son, so their musical connection is deep. 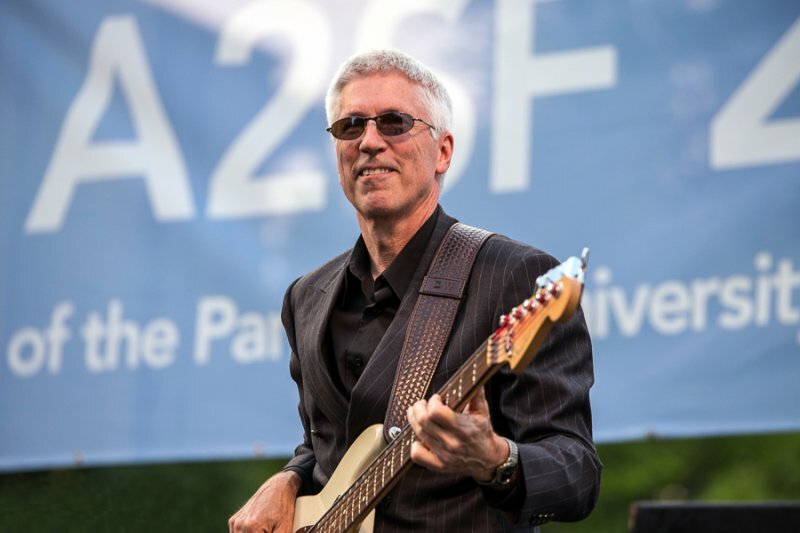 Doug Wolgat began playing bass in 1973 and met Larry in his first band (the Fuzz Brothers) in Detroit. Ryski and Wolgat first became band mates in 2005 when Ryski joined Wolgat’s previous band, the Bluescasters. You’ll hear harmonies and up-tempo rhythm of soul-style covers from Gladys Knight to Van Morrison. Rain/heat location: University Hospital Main Lobby, Floor 1.